Remember our Sea Casa rental property? Here’s what it looks like today. 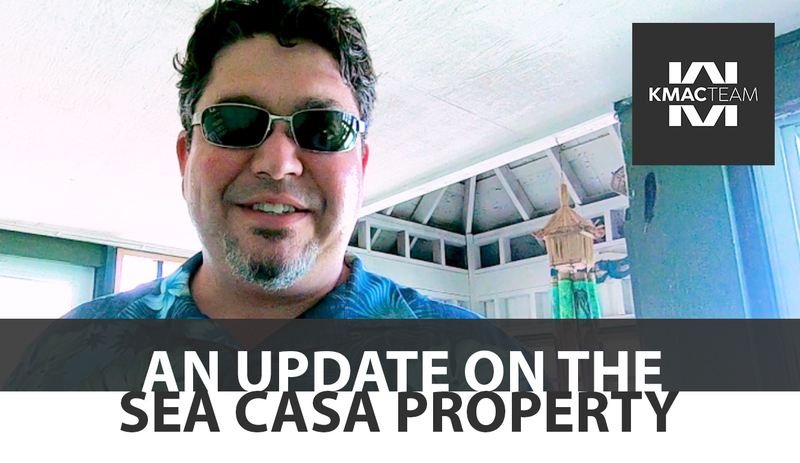 Today I’m excited to bring you back down to the Sea Casa we showed you a few months ago. I was out looking at some other properties with some folks and wanted to give you an update on what the completed remodel looks like. It’s been a very interesting and educational experience, and I’m very happy with the end result. The pool looks great, even after a heavy few weeks of rainfall. Although there’s quite a bit of standing water in the backyard, the interior of the house looks fantastic, as you can see in the video tour above starting at about 3:00. We redid the roof, had to take care of a bit of tile repair in the master bathroom, and it finally looks like a great vacation rental in Port Aransas. The short-term rental business has been very good here and I’m excited about what’s to come. If you have any questions for me about the work we did on this property or if you want any advice about buying or selling rental properties in your area, don’t hesitate to give me a call or send me an email. I’d be happy to help. Last updated April 22 at 8:22 am.